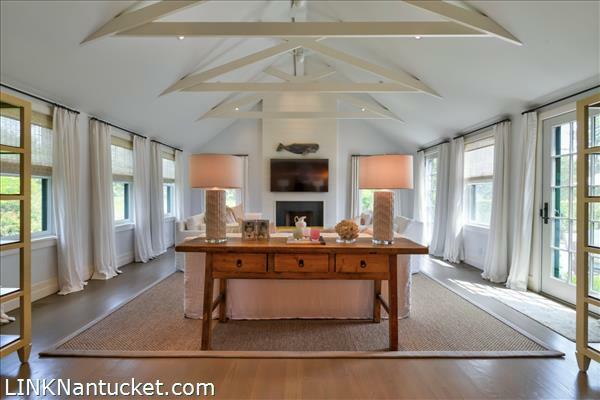 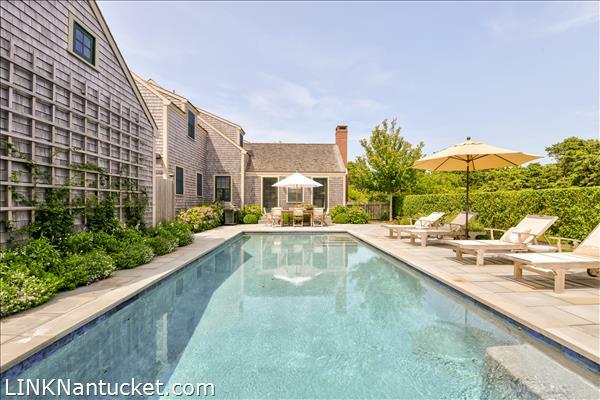 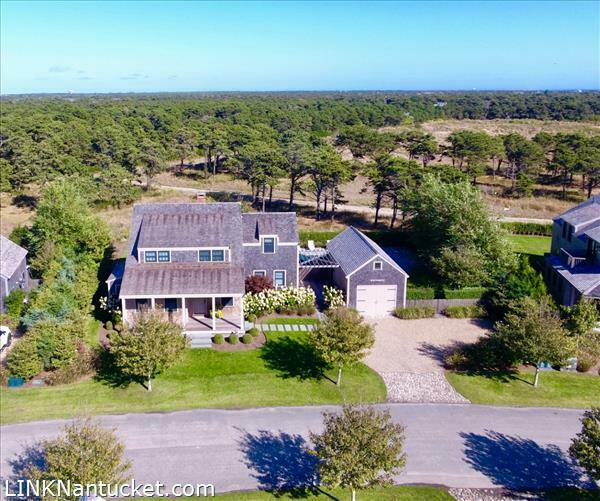 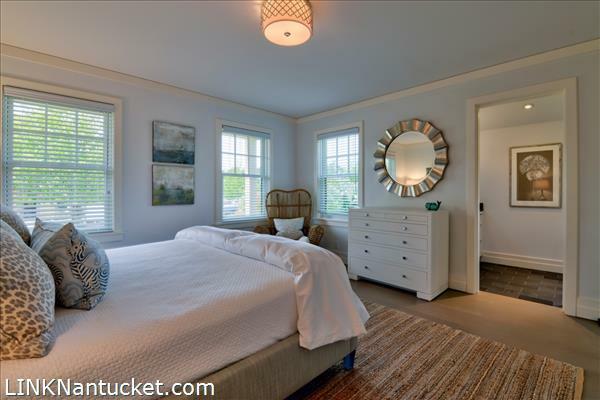 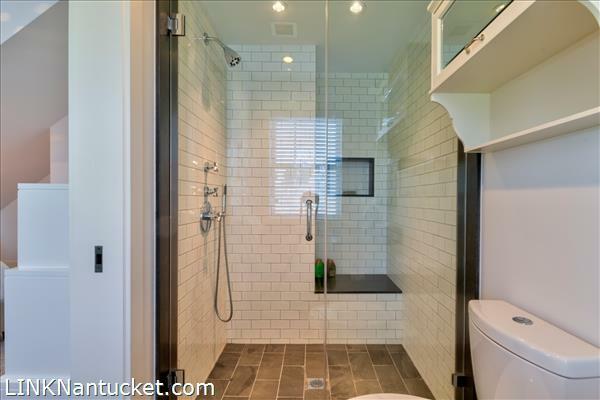 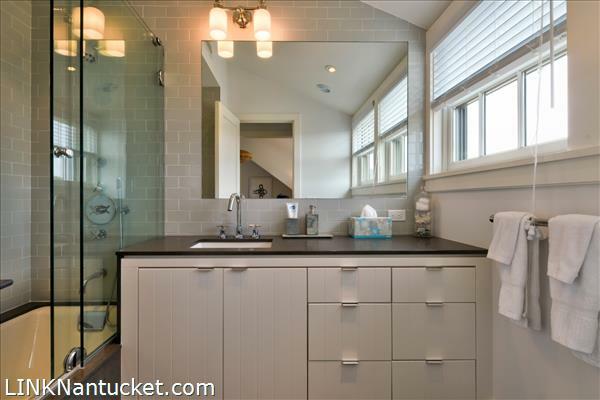 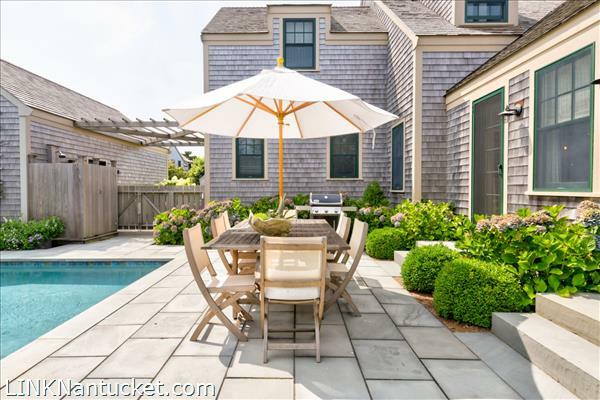 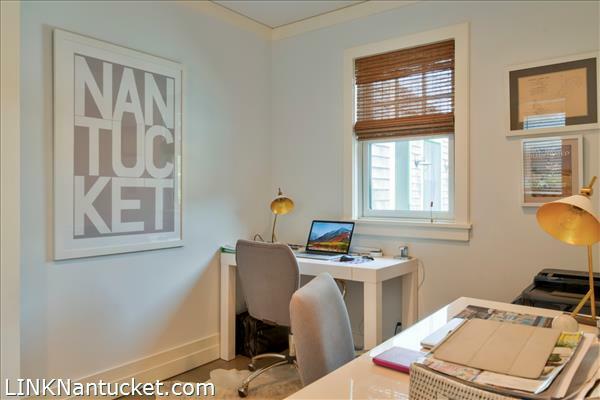 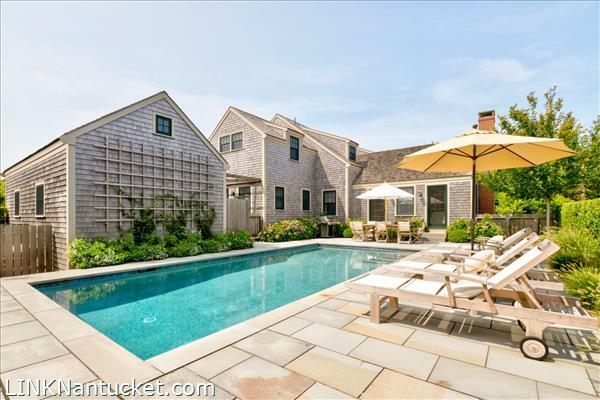 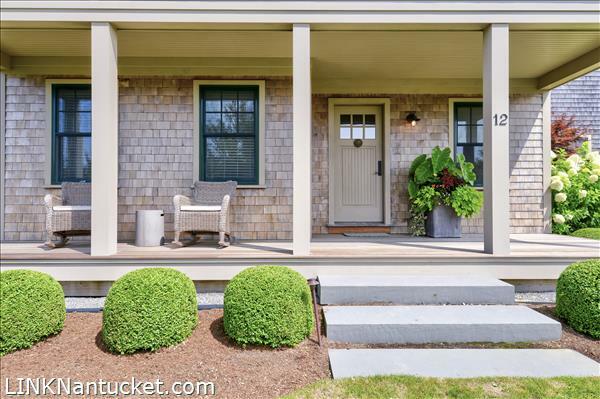 This stunning modern beach house is located in the exclusive Miacomet Preserve neighborhood, is surrounded by open space and conservation land and is just a short distance to Miacomet Beach, one of Nantucket finest south shore beaches. 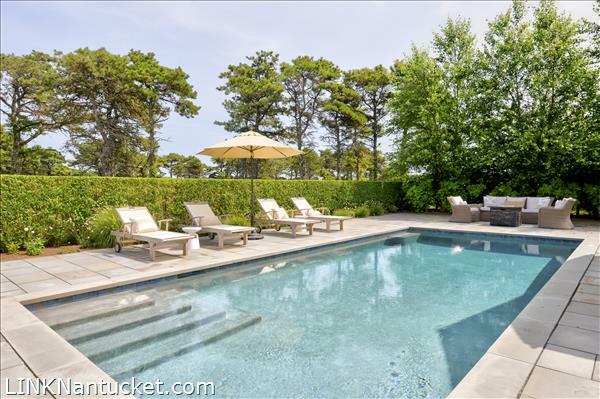 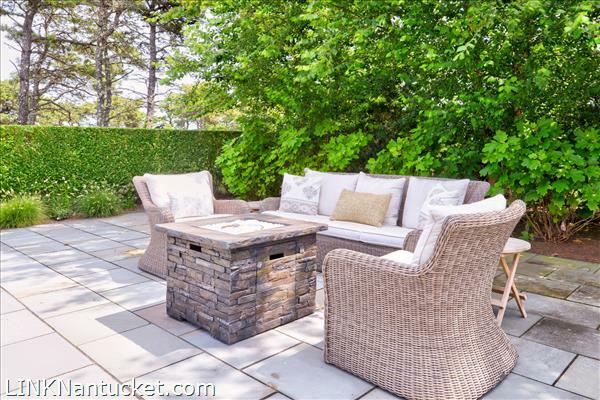 The property was designed by renowned architect Andrew Kotchen and features a 4 bedroom, 4 full & 1 half bath home on 3 levels, a gunite swimming pool, a detached garage and impeccably landscaped grounds. 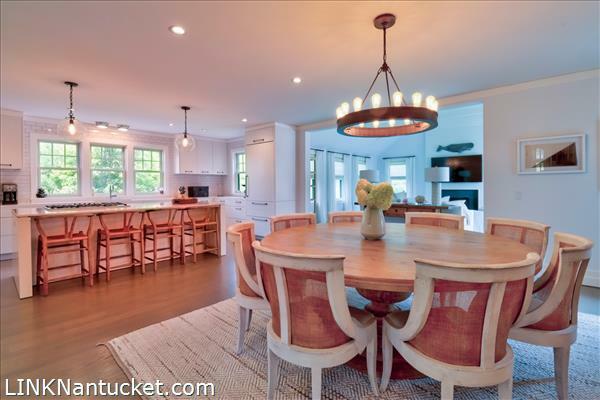 No facet has been overlooked and only the highest quality materials and expert craftsmanship were employed in developing this well planned estate. 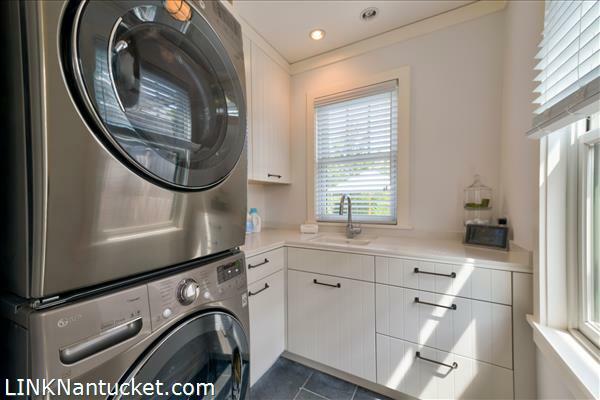 First Floor: There is an informal mud room/laundry room entrance to the home that leads into the formal front entrance. 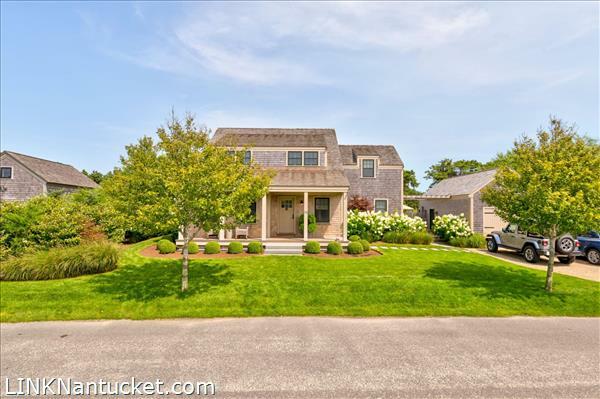 The formal entrance is light and bright and opens into the open plan kitchen, dining and living room with gas fireplace. 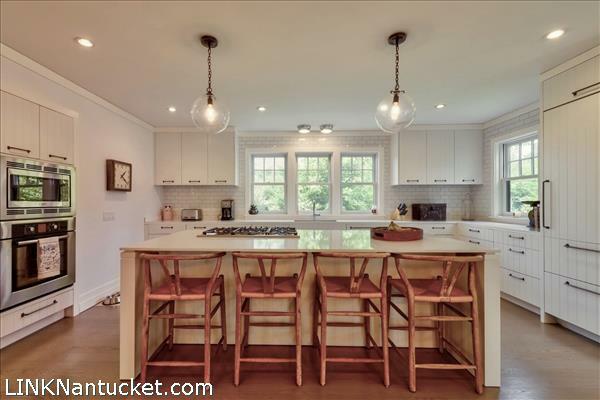 High end custom paneled appliances, marble and stone countertops, premium fixtures and white oak floors are just a few features of this home. 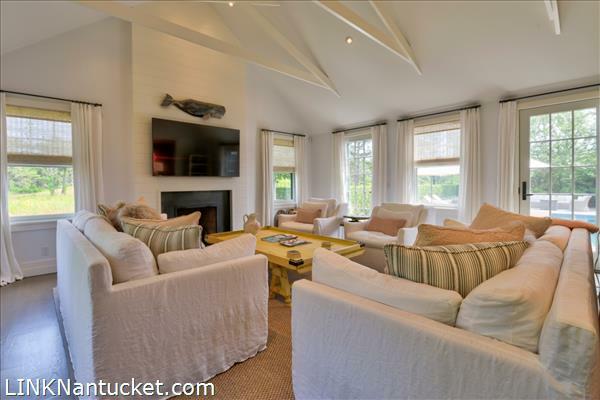 Doors off the living room open out to the gunite pool. 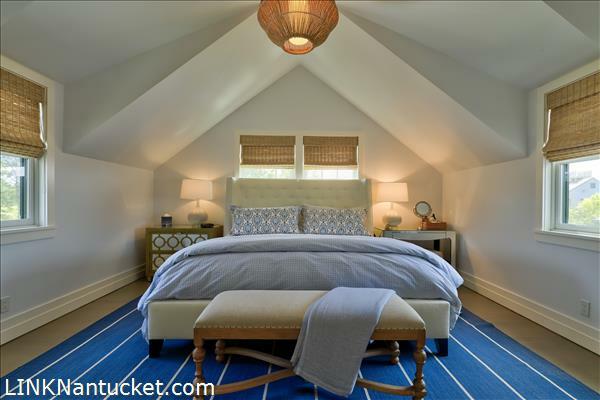 A first floor master with private bathroom and a powder room and study/office complete the first floor. 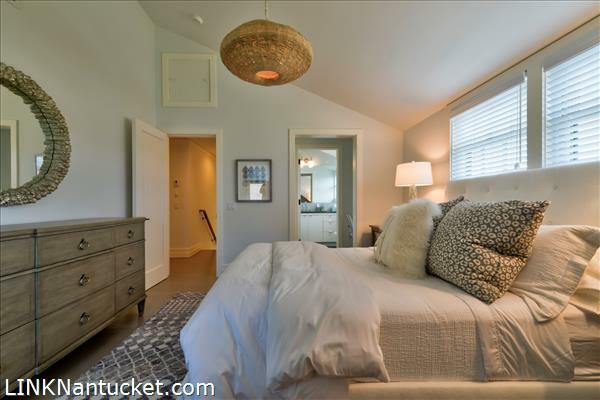 Second Floor: The second floor offers a master bedroom suite and two additional bedrooms all with vaulted ceilings and private bathrooms beautifully tiled. 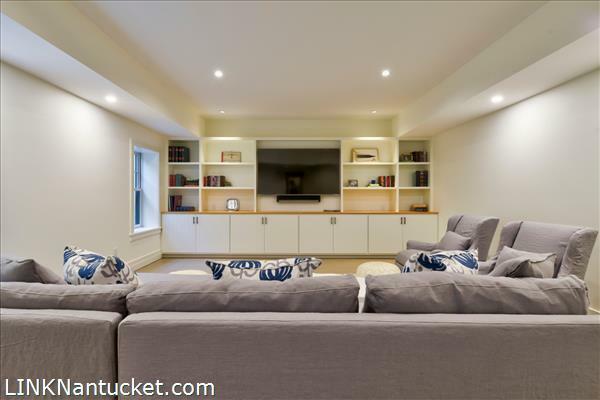 Basement: Fully finished with high ceilings, oak floors, spacious living room/ media room with gorgeous built ins, wet bar, full bath and another spacious finished room to be customized per buyers discretion. 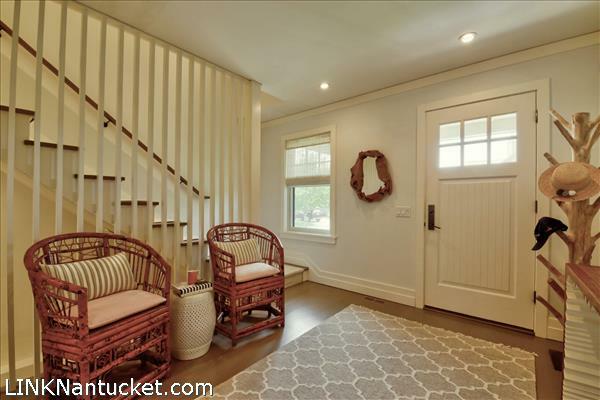 Full exterior stairwell access.